SAUDI ARABIA: Qaderoon Network signed a Memorandum of understanding (MoU) with the Jeddah Municipality on Wednesday, November 7, 2018, in the context of the two parties’ keenness to enable social responsibility and contribute to the development of the society. The agreement, which represented the two sides, includes HE Mr. Saleh Al-Turki, the Mayor of Jeddah, and the Chairman of the Board of Directors Mr. Amr Khashoggi. The MoU includes the development of awareness campaigns, publications and newsletters aimed at spreading awareness and community development in the field of empowering and activating the role of persons with disabilities in society, in addition to providing specialized scientific research and studies. On Monday and Tuesday 19-20 November 2018, Qaderoon Business Disability Network organized a workshop titled “Barrier Free Recruitment” hosted by Jeddah Chamber. The workshop was designed for recruitment and HR specialists from different companies, who are responsible for ensuring fair recruitment processes by selecting jobseekers capable to work regardless of their disabilities. The interactive session helped attendees identify, assess and remove the common barriers that candidates with a disability might face when applying for a job, as well as ensuring a smooth transition from interview and job offer to actual employment. In collaboration with Jeddah Chamber Qaderoon conducted a workshop on Disability Inclusive Communication in the Workplace on Thursday 22 November 2018. This workshop was designed for those responsible for internal and external communication in different companies, who need to ensure successful communication with their employees and customers with disabilities. 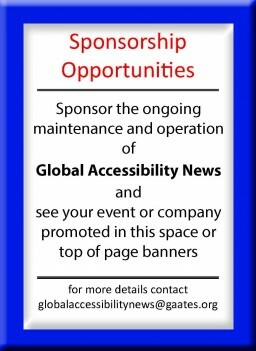 The workshop covered accessibility in company websites, advertising campaigns, visual design, and events. The workshop helped attendees identify, evaluate, and remove barriers that can be faced by their company employees or customers with disabilities when communicating with them or while using their company websites. Attendees were encouraged to use clear color contrasts in the desin or deployment of any of their ads and leaflets, both electronically or printed. Checklists were provided to make sure that all the elements of universal access are available at companies’ events. The workshop concluded with emphasizing the role of the trainees in the application of these important standards, to ensure inclusive communication with all employees and customers with disabilities.